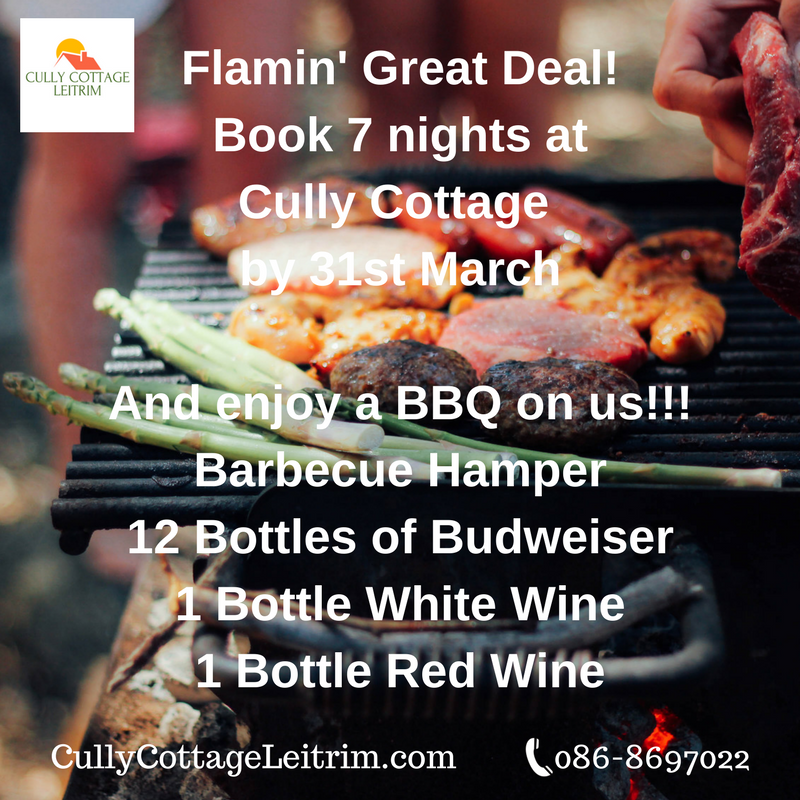 Book by 31st March 2018 for a 7 night stay at Cully Cottage and enjoy a Barbecue party on us! At just €90 per night for up to 7 people a break in beautiful Ballinamore is something that should be on your holiday short-list this year! Get in touch with us by phone at 086 8697022 by email at info@cullycottageleitrim.com to check availability or for further details.